Dr David Vernon from Canterbury Christ Church University, in collaboration with Dr Glenn Hitchman and Prof Chris Roe from Northampton University, are conducting research into aspects of morphogentic learning using Chinese characters. David explained: “This is a fascinating area of research. Here we are focusing on Chinese as the characters have a particular spatial configuration that makes it easy to examine the visual nature of the language”. The study takes just 10-15 minutes to complete and to take part all you need is to be a native English speaker and not able to speak or write in any dialect of Chinese. To find out more and take part, visit the study’s webpage. For this blog post, Public Parapsychology invited guest writer/blogger Lori Scoby to give us a lay person's impression of this new book aimed at the public. 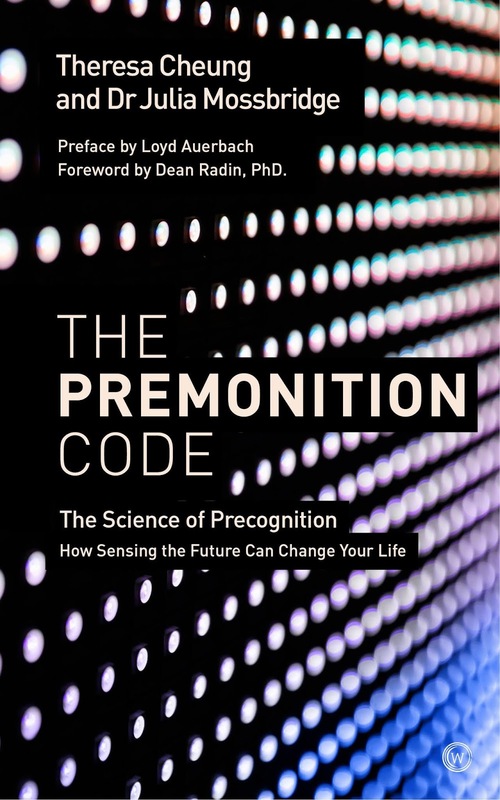 The Premonition Code pairs a seasoned scientist, Dr. Julia Mossbridge, with a practicing layperson, Theresa Cheung, to tackle the subject of precognition. This combination creates a conversational tone and scientific explanations that are (mostly) understandable to the average layperson with only a smattering of academic knowledge. The heart of the book is a simple methodology to practice and develop precognition skills using controlled precognition training. The first section of the book primarily concerns itself with the science around precognition, predominantly in relation to the scientific understanding of time. I was able to follow the information with a single reading, but I would want to revisit this information and ponder some of the more abstract and unfamiliar concepts to feel I really understood them. Still, I was able to get what I needed to know to move forward, and that is the stated goal of the authors. There is also an appendix of recommended reading material for further study and copious endnotes. The second section of the book lays out their method to become what they call a Postive Precog. The authors spend a good deal of time focusing on what it means to be a Postive Precog in order to avoid negative experiences as much as possible. If anything, they belabored the point that delving into precognition can be destabilizing for a person and that precautions should be taken. Clearly, they have seen their share of people who have had negative experiences, which should give pause to anyone looking to undertake their training. I did try out a few controlled precog practice sessions on their website. Their method was well explained in the book and integrated easily with the online technology (although the website could be a little more intuitive to navigate on a mobile device). The authors are very clear that, while the method is simple, achieving accuracy takes work and time. I'd say that is true based on my own experience. I was able to already learn from my practice sessions by utilizing the suggestions in the book. The last section is a FAQ with Dr. Mossbridge to further understanding, followed by the authors' vision for their online community. It provides a nice, tidy ending to sandwich the actual training method. 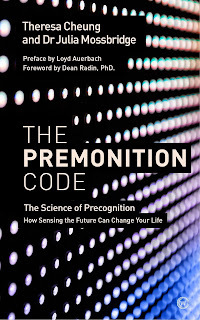 Overall, The Premonition Code is a useful book for someone interested in precognition, either for general knowledge or to develop their own skills. It takes a balanced, measured approach that is especially suited for a skeptically-minded student or someone who is so gung ho that they might overlook the precautions one should take when undertaking this activity.